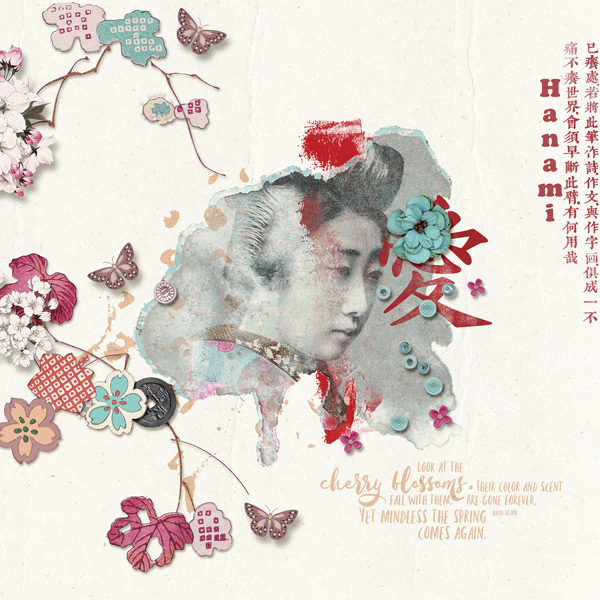 Cherry blossoms, also known as sakura in Japan, are the small, delicate pink flowers produced by cherry blossom trees. Their life is very short. After their beauty peaks around two weeks, the blossoms start to fall. 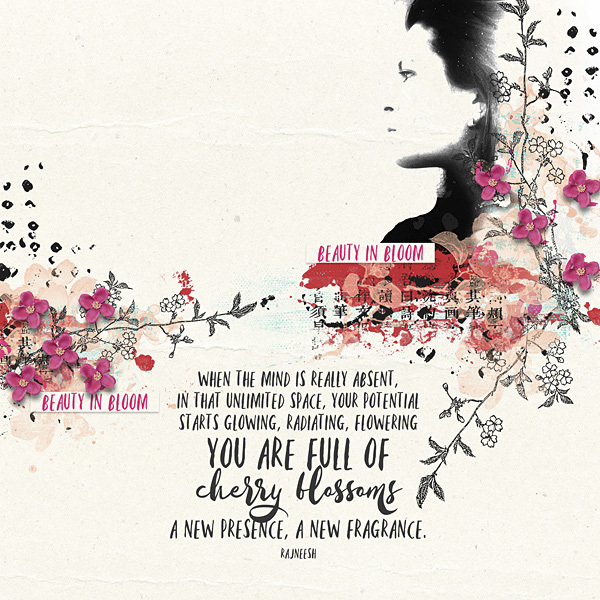 Cherry blossoms are a symbolic flower of the spring, a time of renewal, and the fleeting nature of life. Their life is very short. 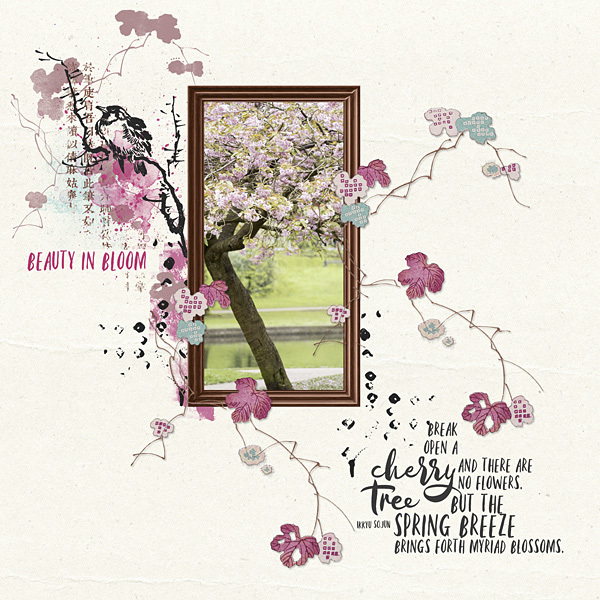 After their beauty peaks around two weeks, the blossoms start to fall. 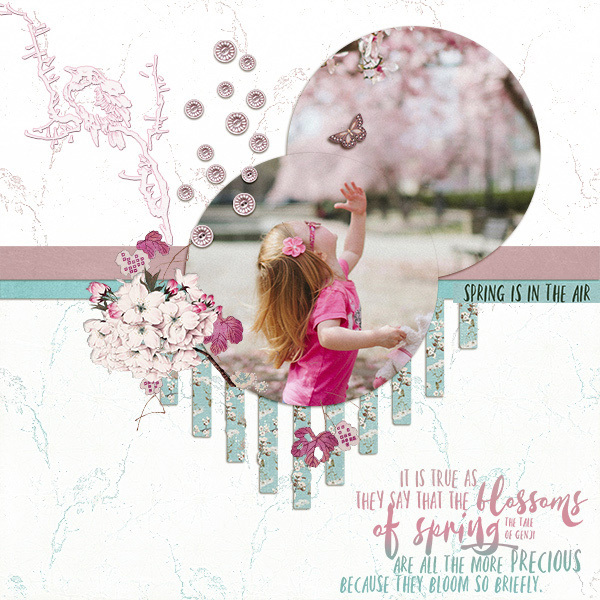 This Mini O collection was inspired by the beauty of Cherry Blossoms and is perfect to enhance scrapbook pages about spring parties, a trip to Asia, a picnic on a sunny day in spring... 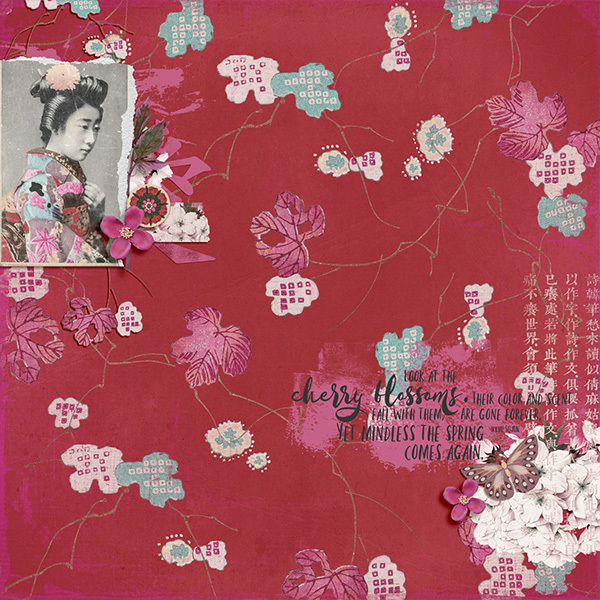 The pops of red and fuchsia will make your layouts bloom! 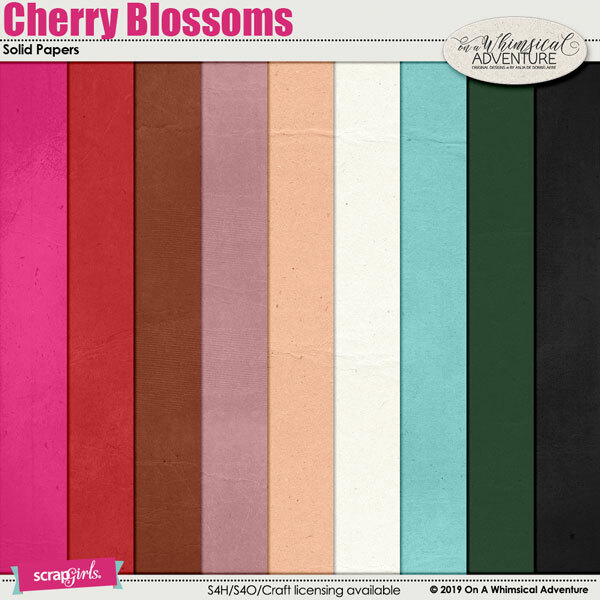 9 solid papers, designed to coordinate with the 'Cherry Blossoms' collection. You will receive 9 JPG files. All files are 300 DPI. 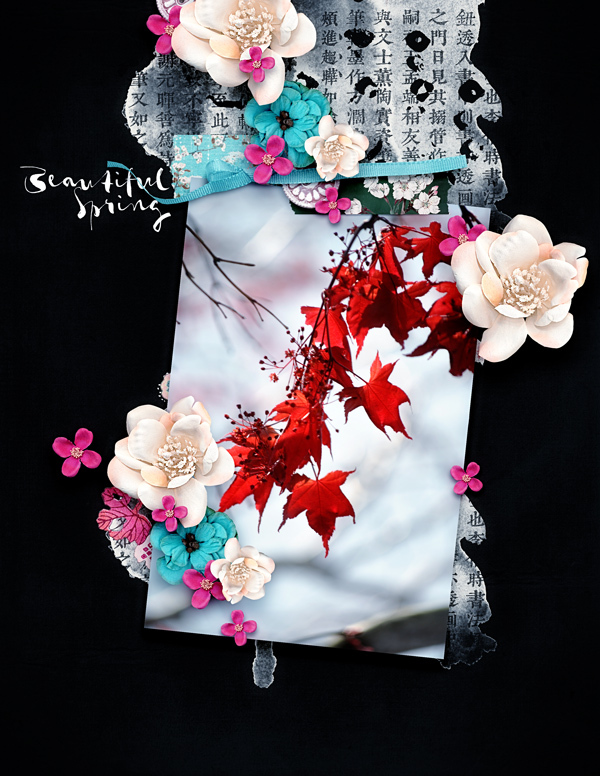 Layouts featured by the creative team may show other items that are not included in this pack. Drop shadows and/or recoloring in the previews are for display purposes only. When you complete your purchase, you will receive (via e-mail) a download key which will allow you to download your product files directly from a download area that is assigned specifically for your use. You will also be able to locate your download and pass code information in your Scrap Girls Boutique account area. 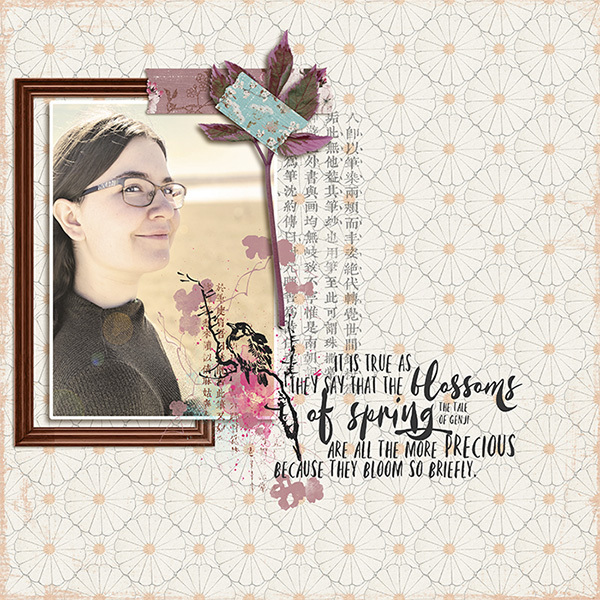 A subscription to the ScrapSimple Club gets you the newest looks from our popular digital templates line while you saving money. This kit in fun, spring colors is perfect for documenting all of your daily moments. Delicately embossed and ornate backgrounds. Great for any layout project - add a subtle and delicate touch instead of a boring white background! 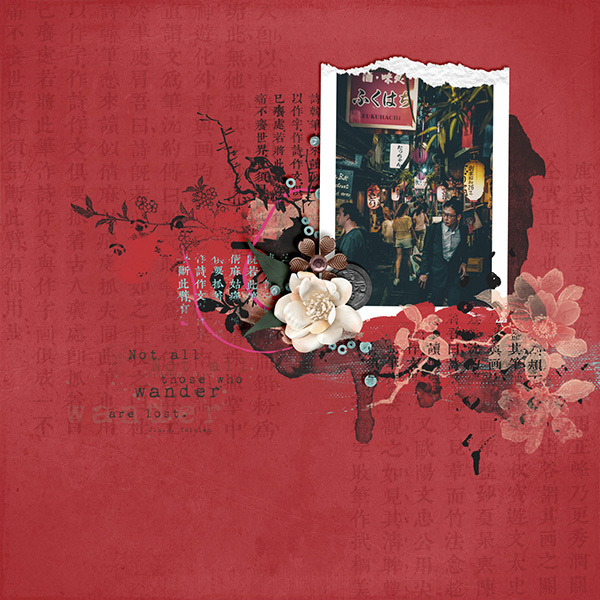 Make every moment beautiful by scrapbooking with this vintage inspired digital scrapbooking kit. Worn stripes and solid papers, a mix of vintage ephemera, paper flowers, golden accents and more add the perfect touch of embellishments. 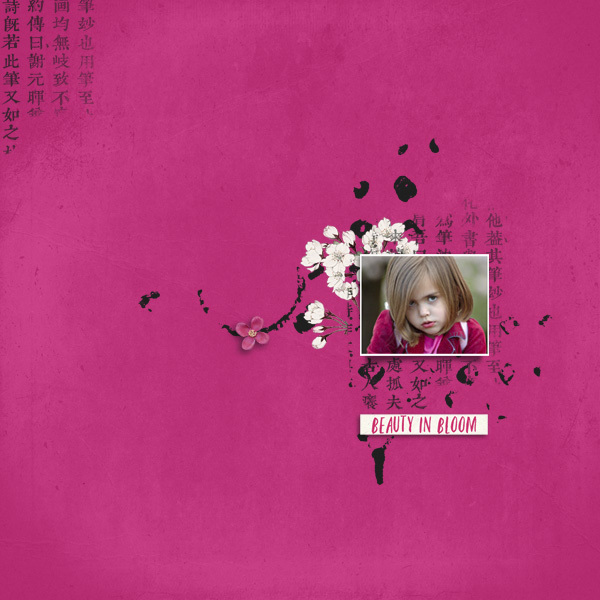 Start your layout or project with a fabulous foundation featuring these word-centric custom layer styles! 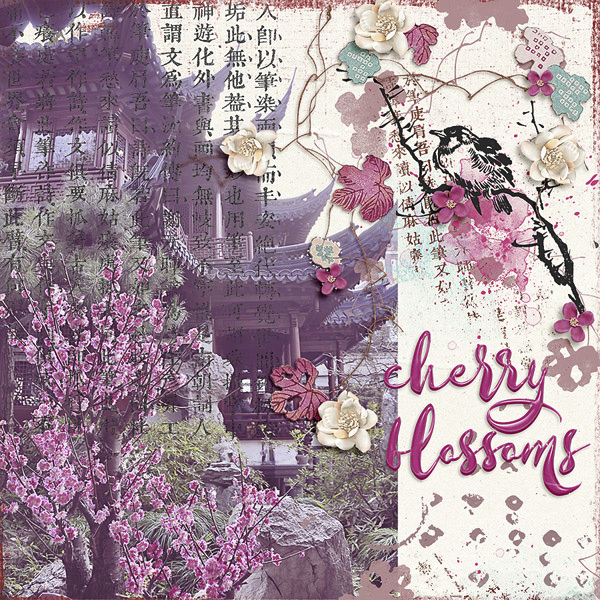 A pack with embellishments, designed to coordinate with the 'Cherry Blossoms' digital scrapbooking collection by On A Whimsical Adventure. I've always loved this template set. Great for multiple photos and there's plenty of room for journaling and embellishments. 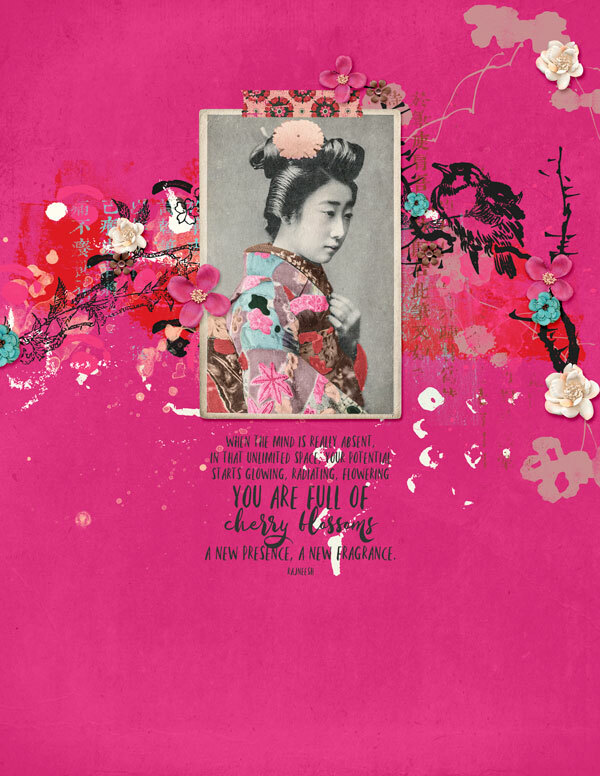 I like that that the designer (Angie Briggs) also gives ideas for the placement of journaling and embellishments. Also, in addition to png files, psd files are included making it easy to rearrange the individual elements if you wish to. I think this is the perfect "go to" template set.